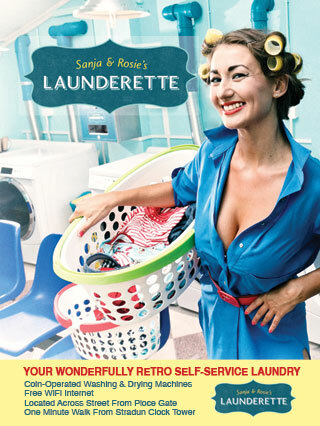 Here’s a google map to Sanja & Rosie’s wonderfully retro self-service laundry in Dubrovnik. If you have any trouble viewing the map, please click here for directions to Sanja & Rosie’s Launderette. Boutique Accommodation in the heart of Dubrovnik. Recommended by Rick Steves, New York Times, Lonely Planet.